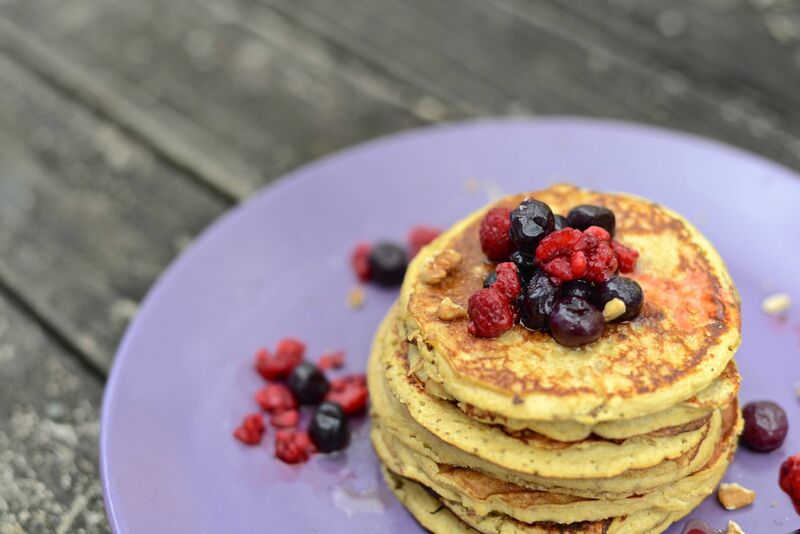 This recipe for coconut flour pancakes is delicious and perfect for when you’re feeling like pancakes in a pinch. It only uses four ingredients and will only take about 10 minutes from start to finish. Enjoy! Heat a lightly-oiled griddle or frying pan over medium high heat. Pour or scoop the batter onto the pan using approximately 1/4 cup for each pancake. Brown on both sides – or wait for the pancake to bubble, then you will know they are ready to flip. Serve with authentic maple syrup and fresh berries.